I have been looking for a word to describe the S. It is so inovative and new that nothing applies. A new word must be created to describe this new car. Clean does not do it justice. The car has no visible buttons or levers on the dash, no motor or batteries or wires can be seen anywhere. There is nothing under the hood, just a carpeted lugage area. Nothing in the trunk, more storage. The dash is smooth and tastefully devoid of any controls. 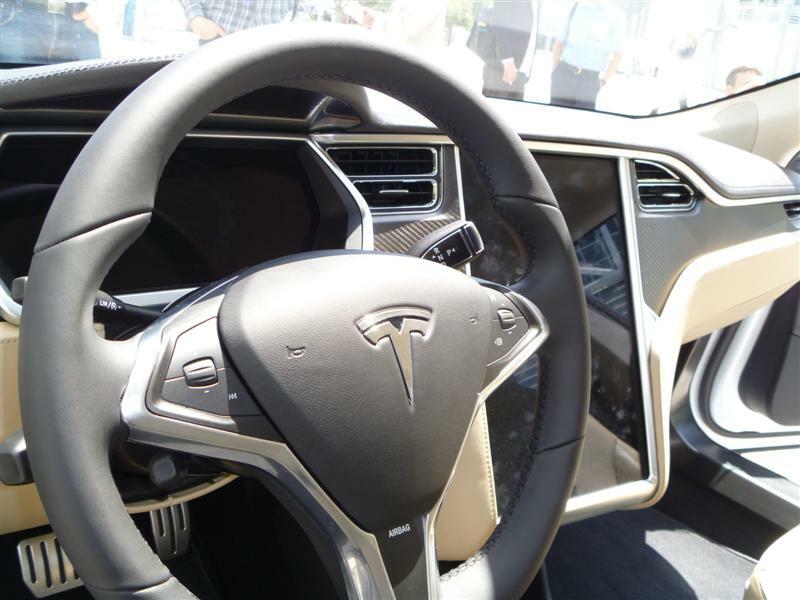 The huge touch screen in the center console is the main input drivers will use to control the car. We have gone way past the point in automotive history where people want to examine chrome valve covers on a new car. 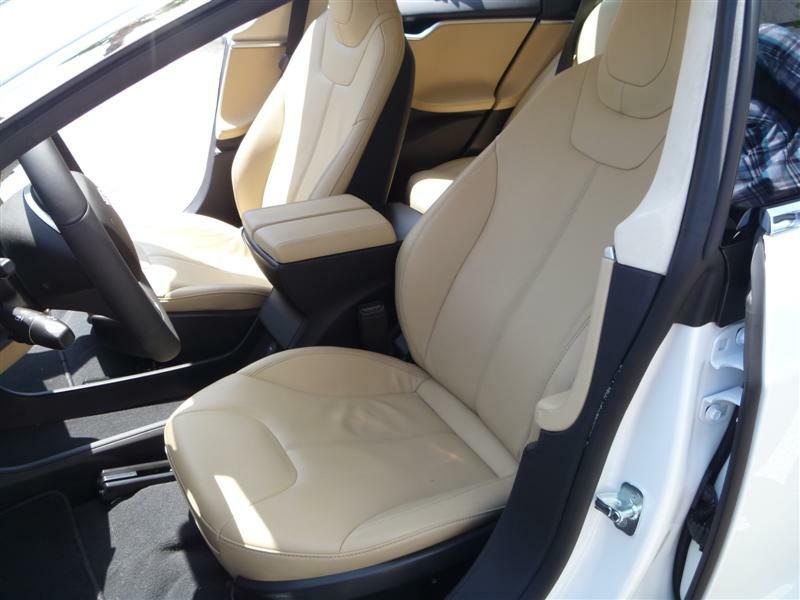 The Tesla takes advantage of the electric drivetrain to reshape components and tuck away the motor , battery and other bits in a way that makes the car seem to be a rolling chassis or concept vehicle. The interior floor is almost completely flat lacking the tunnel and other contours that normally define the floor of a modern car. This car will make history. Other automakers will undoubtedly copy the clean smooth finished look that is both inovative and impressive. I felt inspired with confidence that this vehicle will be every bit as luxurious as a Porsche less the roar of the engine, the smell of oil, the tubes and wires that clog the engine bay. I was not the only one impressed with this vehicle. The gentleman standing next to me decided to buy one. He put a $10k deposite on the $71k long range variant. 300 miles per charge. 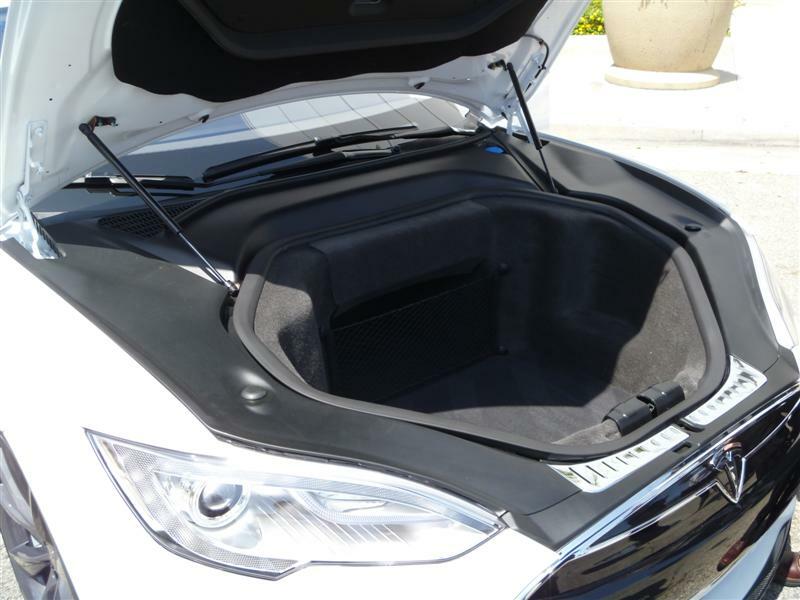 The 83kWh pack is 2 1/2 inches thick and hidden in the floor of the vehicle. $70k sports car buyers with no interest in going green will find the Tesla an appealing option. Even a long term Porche driver would not write off the S as underpowered or confined by range limitations. 0-60 in 4.4 seconds is nothing to snuff at. 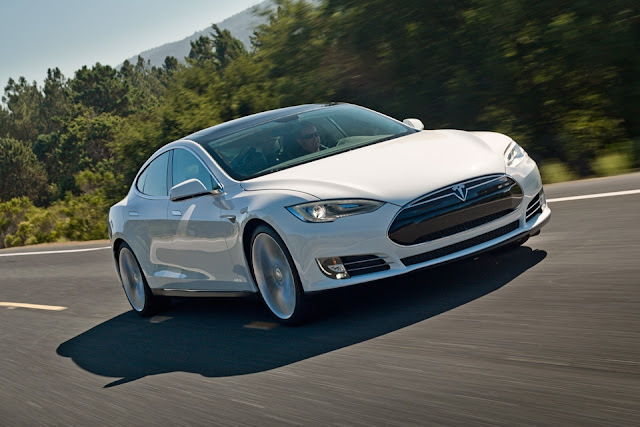 Nobody has driven the Model S and written a review of the driving personality of the vehicle. From what I can be see the S will be a big hit and an instant classic. The initial 5,000 unit production run is sold out. More orders are being taken for delivery in about one year. If you are thinking of buying a vehicle in this price bracket consider the Tesla before pushing the button on that BMW Audi or Porsche. 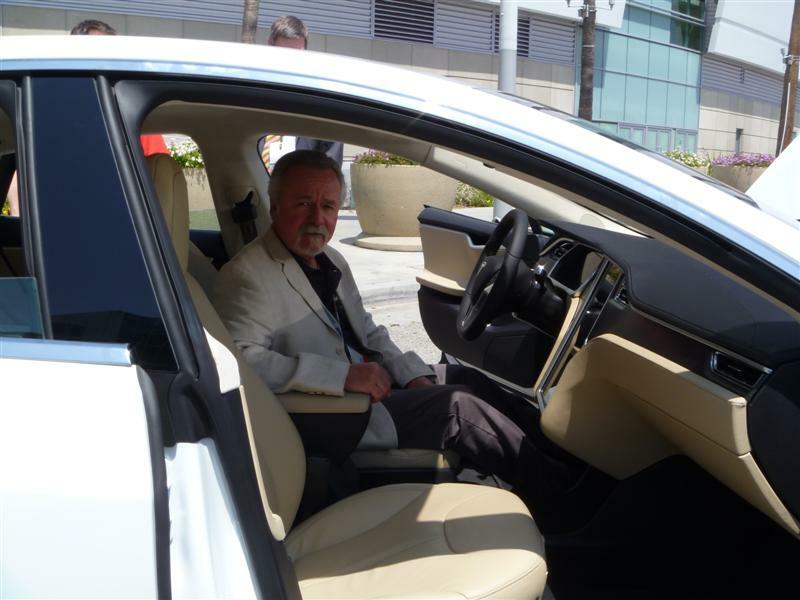 This vehicle is innovative in ways beyond the electric drive train.